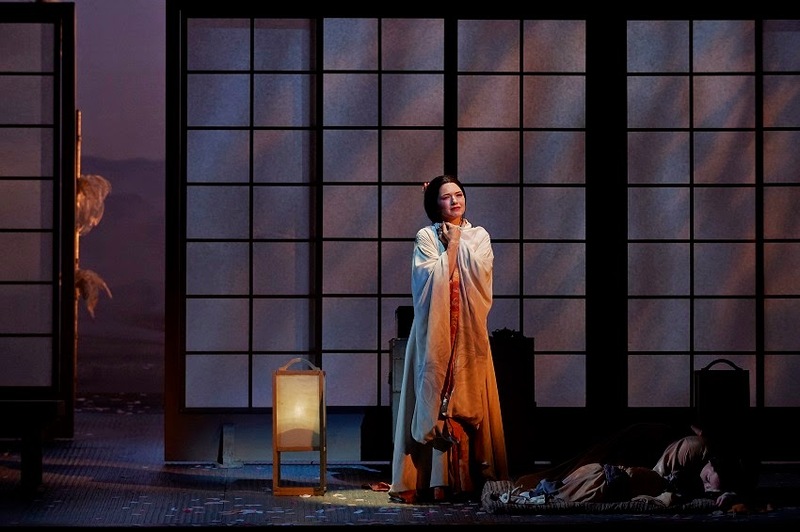 The Canadian Opera Company unveiled the second production of its fall season this weekend, Puccini's Madama Butterfly, one of the most beloved of all operas. According to worldwide statistics of five seasons from 2009/10 to 2013/14, the Puccini opera is ranked No. 6 in popularity among a total of 2581 works given, ranking it just below La traviata, Carmen, La boheme, Tosca and The Magic Flute, but ahead of such audience favourites as Barber of Seville, Marriage of Figaro, Don Giovanni and Aida. Butterfly's popularity is easy to understand, as it represents the Italian composer at his most melodically inspired, penning a score of glorious music framed by an intercultural love story that never loses its appeal. In the hands of a truly great singing actress, this Puccini masterpiece is the stuff of high tragedy. In this Butterfly revival, the COC is blessed with not one, but two great singing actresses in Patricia Racette and Kelly Kaduce. Both are wonderful artists whose voice I am familiar with. 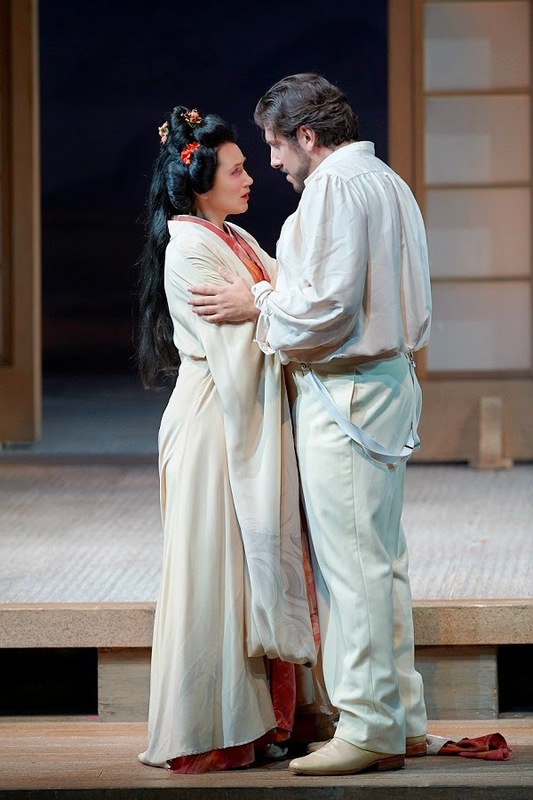 Tonight it was Kaduce weaving her magic as the tragic Geisha. I first saw her Cio Cio San in Santa Fe in 2010, in a production directed by Lee Blakeley. I recall how struck I was with her characterization at the time - instead of a passive and demure Geisha, Kaduce's Butterfly is unusually youthful, headstrong, playful, defiant, extroverted and highly emotional in a heart-on-sleeve manner. It makes the finale all the more heart-wrenching - her death scene was among the very best I've seen. For me, Kaduce's characterization tonight is very reminiscent of the 2010 portrayal. Vocally it was also a tour de force, an impressive mix of power and nuance, with plenty of chiaroscuro. She gave generously and unstintingly with her voice. If one were to quibble, it was a little odd that in Butterfly's entrance scene, she unexpectedly skipped a whole line just before singing her D-flat, perhaps to prepare herself for the high option. She sang it powerfully and it was completely on pitch. Other than this little quirk, every moment of her performance was superb. She was partnered by the Pinkerton of Andrea Care, who looked great on stage and whose big, bright, ringing tenor with its "money notes" was a real pleasure to the ear, even if he has a tendency to scoop, especially in the beginning.